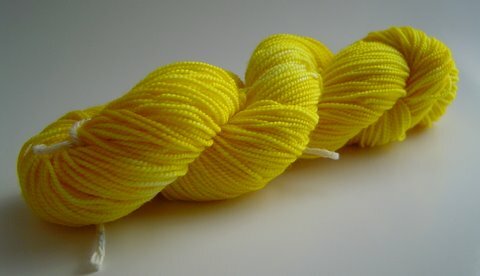 My first attempt at crockpot dyeing didn’t turn out the way I wanted it to. 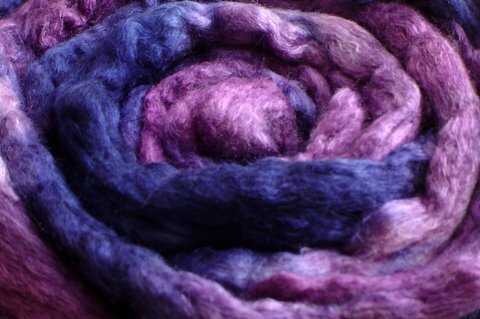 I tried three colors – yellow, purple and red and my hope was that you could see each color… but due to my using my crockpot for the first time (and accidentally having the setting on low), the colors blended. With just yellow and purple, I could have ended up with muddiness, but the red kept that from happening and I ended up with a kinda of rust color with variations. 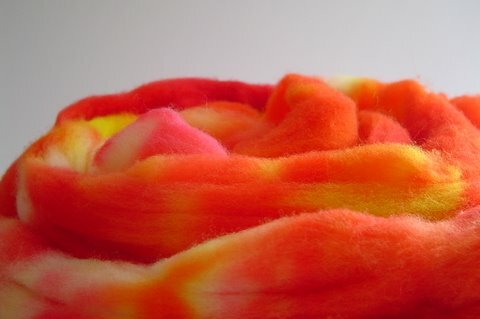 Stay tuned to see the spinning of this fiber. 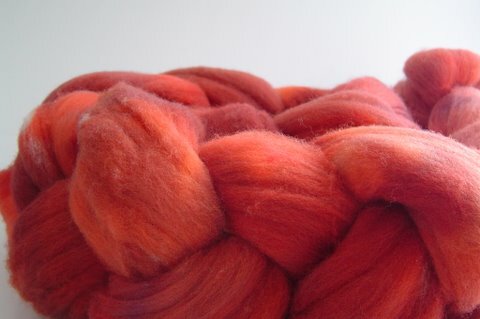 On November 15th, I spent the day at my local yarn store. 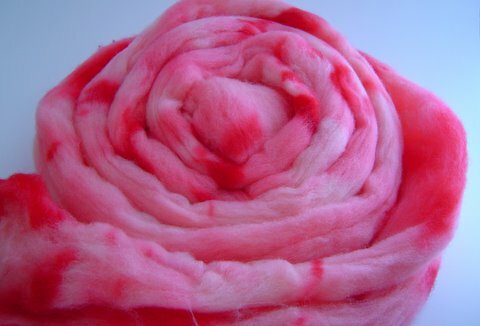 It was a wonderful day … and it started with a spinning lesson. Yup! 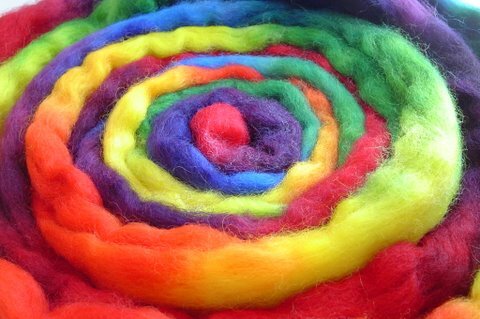 A spinning lesson – the very first time I spun on a spinning wheel. My lesson was at 9:00 – 10:00 am. and I loved it. 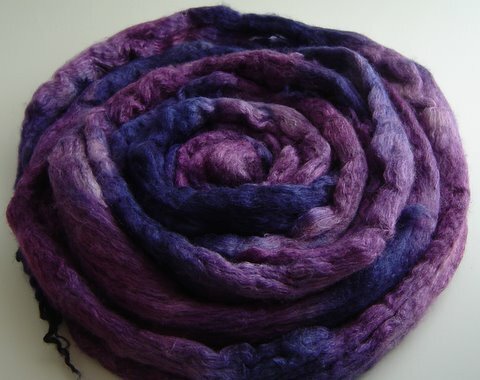 The spinning wheel I learned on was an Ashford Traveller, which is what the yarn store sells. And plain and simple, I loved it! 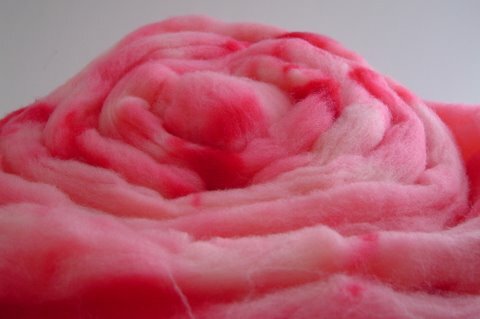 (the spinning not the wheel) Turns out I’ve been doing a good job at drafting and I was pleased to find that out. The biggest problem I had was getting the wheel the spin in the right direction. 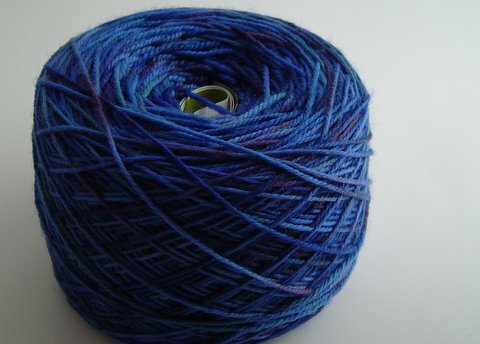 I also made a bunch of beginner mistakes … such as the single getting too thin and breaking and I had to use the orifice hook to pull it through … the wheel began to spin the wrong way and the single got tangle and I had to untangle it. 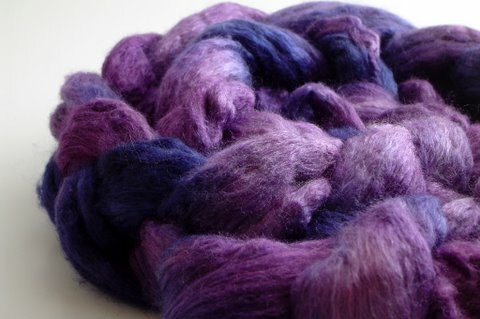 Another cool part of the lesson was the fiber I’d brought to spin. 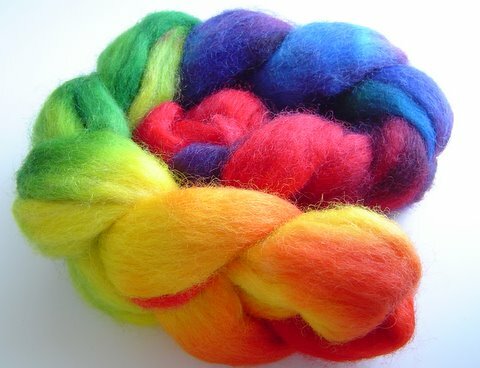 I had believed it to be a dye experiment gone wrong. 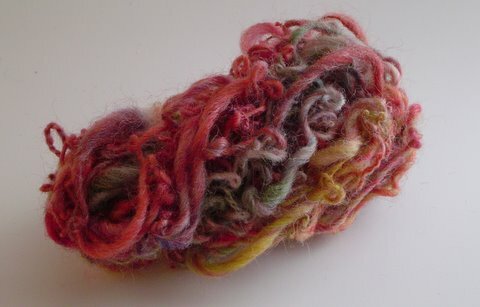 But I’d also read in one of my books that sometimes an ‘ugly’ roving/top can make pretty yarn, so that was the fiber I chose just to see. 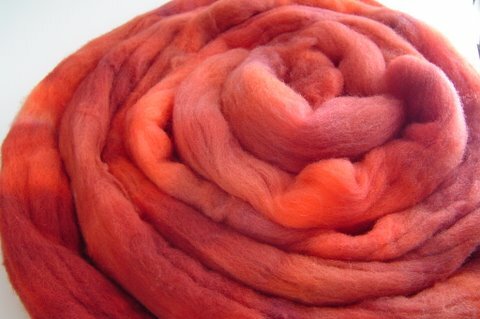 Although it had been ‘top’ when I dyed it, it more felt like roving when I spun it. (Later, when some ladies saw it, it got some Ooohs & Aahhs. That definitely was a good feeling.) 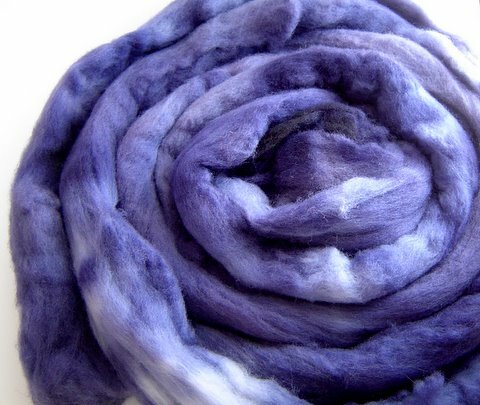 It was also fun when, at moments, my teacher got distracted by how the fiber was spinning up. 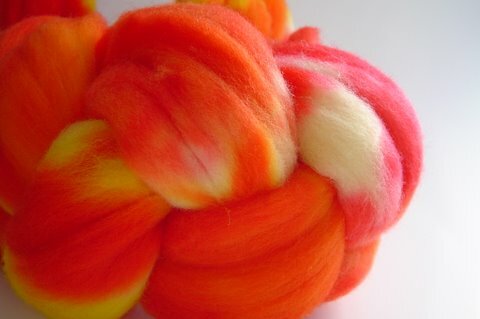 One thing surprised me about spinning on a spinning. 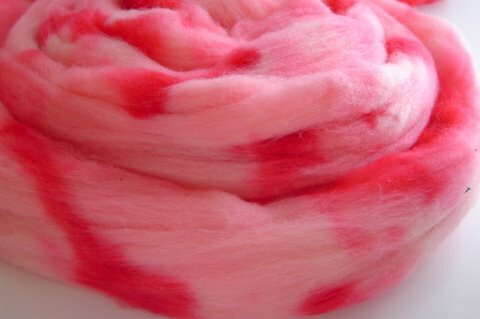 The one thing I was concerned about was that if I fell in love with spinning on a spinning wheel, it would take away from my love of spinning on spindle and I was pleased to discover that was not the case. 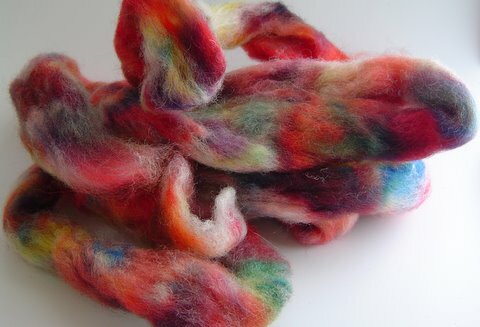 If I am ever able to afford a spinning wheel, it will be like a totally separate kind of enjoyment than that of spinning on a spindle and I love the thought of that. 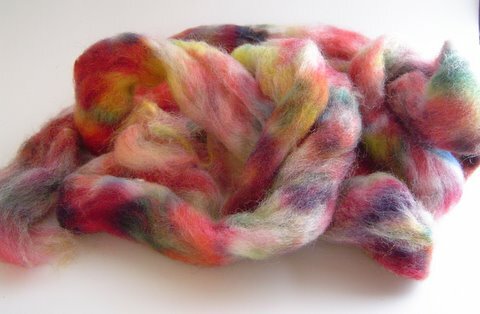 Now let me tell you about the fiber I spun. 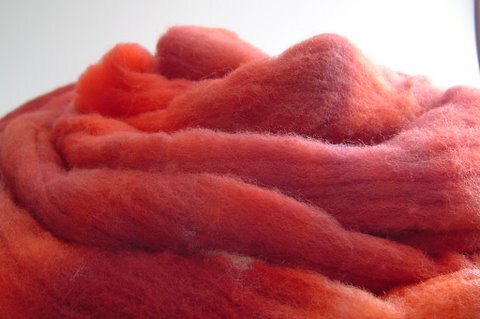 It was some Romney fiber that I dyed but never was really happy about it. It was a kinda of an experiment to see what would happen but I guess I had some expectations and didn’t like the way it came out and I actually thought it was kinda ugly. 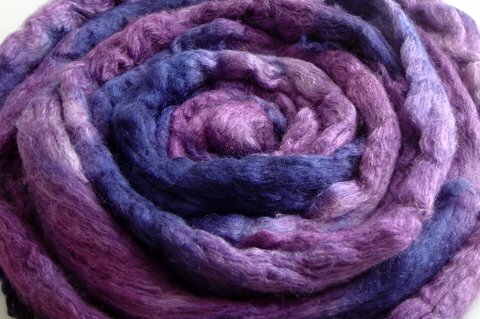 But I’d read recently that an ‘ugly’ roving or top could become lovely yarn. 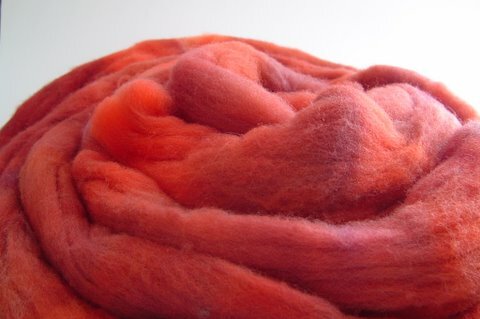 Here’s more of the dyed fiber I did a couple of weekends ago – I finally took some pictures. 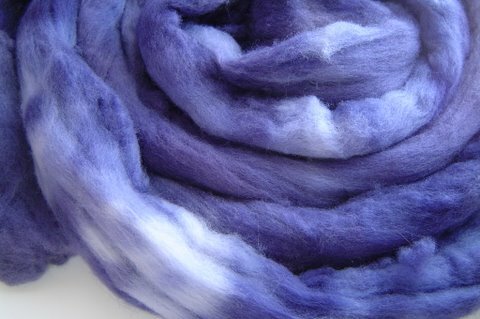 This is about 2 oz of hand painted Merino/Bombyx Silk. 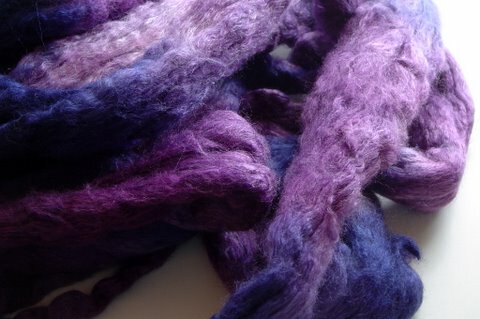 I did dye more fiber but I wasn’t particularly happy with them. 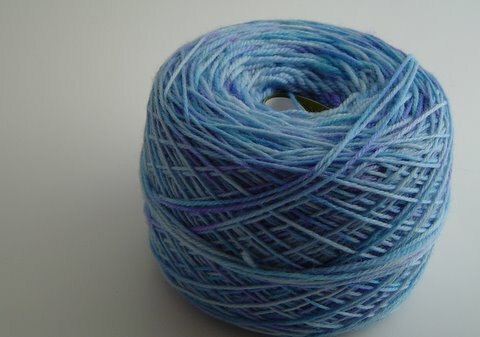 I will take pictures and if the eventual yarn is nice, I’ll share them. I was a busy bee this past weekend having fun with color. 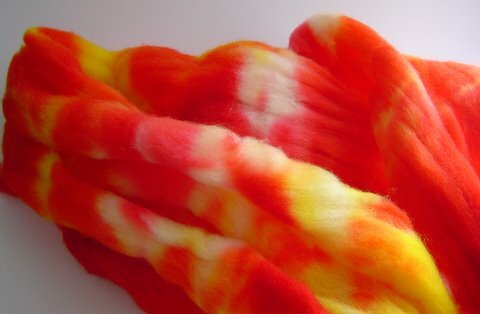 It was a new experience that reminded me of the fun I had in tie-dye class when I was 6 years old. 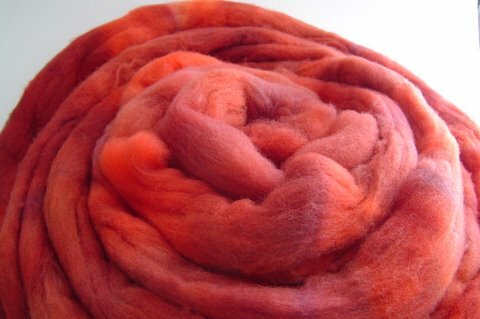 The top one is Merino, dyed via immersion dyeing.